This month’s ASAT feature comes to us from Mary Jane Weiss, Ph.D., BCBA-D,LABA and Nicole Pearson, BCBA-D. To learn more about ASAT, please visit their website at www.asatonline.org. You can also sign up for ASAT’s free newsletter, Science in Autism Treatment, and like them on Facebook! I am a mother of three children, one of whom has autism and requires a tremendous amount of time and care. I worry about how this is impacting my other children, both of whom are a few years older and are very aware of how our family has changed as a result of their sibling’s diagnosis. Do you have any advice on how to best address this with them? Having a child with autism spectrum disorder inevitably impacts the entire family. From the stress and anxiety that accompanies the initial diagnosis to the time-intensive nature of navigating treatment options and providers, raising a child with autism presents unique challenges for parents. It can also present challenges for siblings as the sibling relationship is inevitably different from that of typical siblings. And while many of these differences can be positive and rewarding, it’s important for parents to be aware of the needs of siblings so that they can provide meaningful guidance and support. While children of younger ages may not be fully aware of their sibling’s disability, they likely detect parental stress, perceive inequities in the amount of time and attention given and struggle with a sense of disruption in overall family life (Feiges & Weiss, 2004; Smith & Elder, 2010). As children age and their awareness grows, siblings may experience adjustment difficulties. These difficulties are influenced by such factors as sibling age and gender as well as family size. Siblings closer in age to the child with autism, and those who are younger and have not yet developed effective coping strategies can be more affected. However, as a parent, there are many strategies you can take to support sibling coping and adjustment. Foster a supportive environment at home: Siblings are often aware of how different their experiences are from that of others, especially their friends. As a result, they may feel many emotions, including fear, anger, embarrassment, resentment and guilt, among others. Encouraging an environment of open communication allows the sibling to safely express negative emotions and frustrations. Listen to and reassure your child that it’s okay to have these feelings, and offer suggestions on how to work through them together. Doing so also helps with positive coping and establishes a foundation for good familial communication and problem solving. Further, as siblings become aware of such differences, they will likely look to their parents and family members for guidance. Thus, parent coping and adjustment play an important role in sibling adjustment. As such, it is important for parents to be cognizant of the impact their actions, behaviors and decisions will have on all of their children. Ensure your child understands what autism is: Parents sometimes overestimate their typical child’s understanding of autism as the child may be able to explain what it is without fully comprehending it. They may also pick up on information they overhear but likely have more questions than answers. Making sure that siblings have developmentally-appropriate information will help reduce their fears and misconceptions (Glasberg, 2000; Harris & Glasberg, 2003). These explanations can go a long way in influencing how siblings view and interact with their sibling with autism and how well they are able to explain autism to their peers. As children age, explanations can be more involved, such as sharing that autism is a problem in the brain and that it presents differently in each child. Depending on the extent of the child with autism’s behavioral problems, it may be necessary to help the sibling understand why they’re occurring and their role in behavioral escalations. Such escalations can be scary, embarrassing and disruptive for typical siblings so providing them with clear explanations can help alleviate some of these feelings. Regardless of the children’s age, parents should offer reassurance (especially of safety) to typical siblings, and convey love and acceptance of everyone in the family. Promote meaningful relationships between siblings: While every sibling relationship is special, the communication and socialization deficits inherent in autism diagnoses can make sibling bonding more difficult. Creating opportunities for younger children to play together or helping older siblings to find common interests, even if it’s as simple as doing a puzzle together or playing a video game, can go a long way in increasing the quality and quantity of interactions and ultimately building sibling bonds. • how to help him stop playing and clean up. Build in one-on-one time for each sibling and foster individuality: Siblings are inevitably affected by the inordinate amount of time, energy and resources that are spent caring for their sibling with autism. Further, activities common in typical family life such as all spending time together, going to a movie or on vacation may be more limited. While inequities exist in all families, they are intensified in a family who has a child with autism. And if typical siblings feel dissatisfied with these inequities, their relationship with their sibling with autism is negatively impacted (Rivers & Stoneman, 2008). To help minimize the impact of these inequities, it’s important to make time for one-on-one interaction with each sibling. While this can seem difficult in the throes of managing busy schedules and the demands of therapies, carving out even a small amount of time where you’re giving your child your undivided attention can go a long way. So whether its running errands together or going for pizza, make time to check-in with your other children and let them know that even though they may not always get as much attention as their sibling, they’re loved and cared for equally. And while having a child with autism is a 24/7 commitment, helping to foster distinct roles and interests in each child can further reduce the stress that siblings may feel. Encourage siblings to get involved in sports, clubs or other community activities where they can develop relationships with peers and just have fun. Doing so allows them the time and space to be their own person and establish a sense of individuality not defined by their sibling with autism (OAR, 2014). Ultimately, it may also make siblings more available to enjoy spending time with their sibling with autism. • Sibling Support Project – offers more than 475 community support programs, called SibShops, for younger siblings of children with special needs. The Organization for Autism Research (OAR) has also developed the “Autism Sibling Support Initiative” offering helpful resource guides for young children, teens and parents. While much is often said about the challenges faced by siblings of people with autism, there are also substantial positive outcomes. Most siblings who reflect on the experience in adulthood attribute their high levels of compassion, tolerance, patience, and concern for others to having had a sibling with special needs. Furthermore, many of them develop a sense of mission and enter helping professions. There is no universal description of the ways in which this role changes the lives of siblings of children with autism. And every sibling pair is on their own unique journey. But while this is a role that is not chosen by the sibling, it is a role that most siblings truly embrace. Parents can help their typically developing children by creating an environment of transparency and openness about autism and about issues arising in the family associated with it. They can help siblings find effective ways to interact with their brother or sister with autism, and can foster mentorship roles for them with their sibling. Parents can also ensure that every child in the family gets needed attention and permission to pursue their own dreams. Finally, they can remember that most siblings of children with autism end up being compassionate human beings who treasure their sibling and who note both the struggles and the strength that the family experienced as a result of being touched by autism. Glasberg, B.A. (2000). The development of siblings’ understanding of autism and related disorders. Journal of Autism and Developmental Disorders, 30, 143-156. Harris, S.L., & Glasberg, B.A. (2003). Siblings of children with autism. Bethesda, MD: Woodbine House. Rivers, J. W., & Stoneman, Z. (2008). Child temperaments, differential parenting, and the sibling relationships of children with autism spectrum disorders. Journal of Autism and Developmental Disorders, 38, 1740-1750. Smith, L. O., & Elder, J. H. (2010). Siblings and family environments of persons with autism spectrum disorder: A review of the literature. Journal of Child and Adolescent Psychiatry Nursing, 23, 189-195. Weiss, M. J., & Pearson, N. K. (2012). Working effectively with families of children with autism spectrum disorders: Understanding family experience and teaching skills that make a difference. A. L. Egel, K. C. Holman, & C. H. Barthold (Eds.). School success for kids with autism. Waco, TX: Prufrock Press. Weiss, M. J. (2016). Clinical Corner: How to Manage the Impact of Child With a Disability on Siblings. Science in Autism Treatment, 13(2), 22-26. Mary Jane Weiss, Ph.D., BCBA-D, LABA is a Professor at Endicott College, where she directs the Master’s Program in ABA and Autism and is a mentoring faculty member in the Doctoral program. She also does research at Melmark. Dr. Weiss has worked in the field of ABA and Autism for over 30 years. She received her Ph.D. in Clinical Psychology from Rutgers University in 1990 and she became a Board Certified Behavior Analyst in 2000. She previously worked for 16 years at the Douglass Developmental Disabilities Center at Rutgers University, where she served as Director of Research and Training and as Clinical Director. Her clinical and research interests center on defining best practice ABA techniques, exploring ways to enhance the ethical conduct of practitioners, evaluating the impact of ABA in learners with autism, teaching social skills to learners with autism, training staff to be optimally effective at instruction, and maximizing family members’ expertise and adaptation. She serves on the Scientific Council of the Organization for Autism Research, is on the Professional Advisory Board of Autism New Jersey, is a regular reviewer for a variety of professional journals, and is a frequent member of service committees for the Behavior Analyst Certification Board. She is also a Past President of the Autism Special Interest Group of the Association for Behavior Analysis International, a former member of the Board of the Association for Professional Behavior Analysts, and a former Vice President of the Board of Trustees for Autism New Jersey. Dr. Nicole Pearson is a licensed psychologist and Board Certified Behavior Analyst (BCBA-D) who has specialized in working with individuals with autism and other developmental disabilities for almost a decade. Dr. Pearson received her initial training in Applied Behavior Analysis (ABA) at the Alpine Learning Group and went on to work in a number of other public and private educational settings, including NYC Autism Charter School where she served as Director of Education. She has also worked with autism programs internationally in Kenya and the Maldives. Most recently, Dr. Pearson served as a Behavioral Psychologist at St. Mary’s Hospital for Children, working with children with complex medical needs and training clinical staff in treatment protocols. She holds Masters and Doctoral degrees in Psychology from Fairleigh Dickinson University and a BS in Business Administration from Villanova University. This month’s ASAT feature comes to us from Melissa Taylor, BCaBA. To learn more about ASAT, please visit their website at www.asatonline.org. 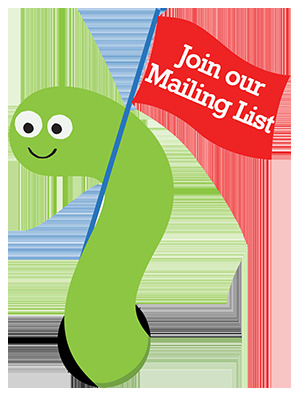 You can also sign up for ASAT’s free newsletter, Science in Autism Treatment, and like them on Facebook! I recently accepted my first teaching position. It’s a new classroom for the district serving students with autism. I have lots of materials, but nothing is organized or set up in my classroom. What are some tips to set up and organize the classroom to optimize learning opportunities and effective instruction? Congratulations on your first teaching position! This is a common question for new teachers. When we talk about classroom organization, there are several things to take into account. Good classroom organization effectively makes use of space and barriers, has accessible materials for instruction and data collection, and facilitates efficient time management. It is critical that when you set up your classroom, you review the needs of your individual students as well as make sure to address the core characteristics of autism. You probably already know that many of your students will present with deficits in social interactions and communication, including challenges with requesting items from adults and peers. It will be important to create an environment that makes it necessary for students to interact frequently with other people to increase communication opportunities. Once the environment is conducive to optimizing instruction, the instructors can implement effect behavioral strategies to teach desired behaviors. Seating. When organizing a space, we want to make sure that the seating arrangement will allow students to access the materials needed for activities and respond accurately to instruction. For younger students, make sure the chairs allow their feet to touch the floor. Likewise, older students should be able to sit up straight with feet on the floor and legs at approximately 90-degree angle. Try to arrange seating so that you have space for group, as well as individual sessions. Also, allow enough room that additional support staff can sit behind students to make prompting less intrusive (e.g., sitting behind student and using physical guidance to help them learn the expected motor responses during the, “Wheels on the Bus” song). Pathways for transitions. The furniture should be set up in a way that enables smooth transitions from one area to another without traffic jams. Walking between areas will be easier if there are not large dividers or barriers that slow down transitioning. Having open spaces and clear pathways between defined areas could also allow instructors to move quickly to different areas of the classroom if there is an episode of problem behavior or an unexpected opportunity to support a social interaction. Defining areas. Some instructors find that using dividers helps clearly separate sections of the classroom. Keep in mind that every area should be open enough that the classroom teacher is able to see every student and classroom assistant. This will allow the teacher opportunities to provide immediate feedback to staff on interactions with students and to offer frequent student praise. Try to avoid tall dividers that make it impossible to see into the other areas and dividers that are easily knocked over. Shelving units, desks, carpets, and tables can create more natural space dividers that can help define the areas. Keep in mind the function and purpose of each classroom area, and make sure that the instructional materials needed are in the area and replaced as needed. For example, if students are going to be required to request items during circle time, those items should be easy for the instructor to reach during group rather than requiring the instructor to get up, leave the group and look in a cabinet for items. Putting away preferred items. Children, including those with autism, are often good at finding and gaining access to the things they like without the help of other people. By keeping items out of reach, in clear containers that are difficult to open, and on high shelves, you can create new requesting opportunities and make communication with adults more valuable to students. Resalable plastic storage bags, totes, bins, shelving units, and aprons with pockets may all be useful to make it more likely that the students will need to request help from others to access the items they want or need. If the student already has a valuable item, you have lost an opportunity for communication. By restricting access to valuable items, teachers can prompt requests for specific items and deliver items to students. Furthermore, when delivering the item, the teacher becomes more valuable to the student, who learns the significance of communicating. When these types of natural communication trials with preferred items occur in areas where instruction will occur, it becomes more likely that students will approach instructors and instructional areas. One important consideration with using such materials that in some cases, direct visibility to highly preferred items can be distracting to students or result in attempts to retrieve items outside of appropriate or scheduled times. In such instances, evaluate the situation and determine whether moving the student’s seat so that it is not facing those items or moving the items themselves will address the issue. Materials for data collection. In preparing materials for instruction, we want to make sure that all instructors have easy access to necessary materials such as data collection tools and sheets. These items should be able to be easily accessed at any point of the day, so that instructors are more likely to capture all opportunities of the behaviors they are tracking. When data are recorded immediately following student behavior it is more likely to be accurate. Clipboards that have pockets attached to them are good for storing writing utensils, timers and additional data sheets. Student item lists, teaching stimuli, and data sheets can be kept in a cart with drawers to make it easily accessible during teaching. When collecting any type of data that require instructors to count the number of occurrences of a behavior, instructors can use clickers attached to their clothing with carabiner clips for convenience. Blank student specific datasheets can be carried with the student on clipboards, kept in a drawer on a cart, or hung on bulletin boards in centers where instructional activities occur. Materials for instruction. Pencil cases or small craft boxes help organize small materials such as pieces of edibles, small toys, pencils, highlighters, picture cards, visual schedules or index cards for instruction. For larger instructional items such as toys needed for teaching imitation skills, items needed for simply following direction tasks, or items needed to teach daily living skills, boxes, rolling carts with larger drawers, or labeled shelves can be used to organize materials by student or goal areas. Consider posting wall cues, table/desk cue cards, or other reminders in places where staff will easily see them. These cues can be helpful to guide instruction without the need to flip through pages in consultation notes or program books to reference procedures. Types of items to post include specific teaching protocols and prompt hierarchies, reinforcement schedule reminders, behavior management strategies, toilet training schedules, reminders of how to teach play skills and student to student requesting, or other items that you want to generalize from one classroom area to another. Cue cards, wall cues, or student data sheets with specific targets listed can also guide instructor presentation during less structured teaching opportunities. For example, if the student has been working on labeling the picture of gloves, and during circle time the teacher is dressing a weather bear, the instructor can ask that student to label the weather bear’s gloves. Additional targets to be posted for staff could include specific peer-to-peer requests or interactions (e.g., give item to peer, accept item from peer), specific motor skills (e.g., copying a line, opening a container), self-help skills (e.g., putting on shoes, washing hands), and other activities. This allows for easy implementation of strategies such as natural environment teaching and incidental teaching. Another point is to consider limiting other “wall clutter” that often serves as highly distracting stimuli to students. When possible, keep to salient items such as a classroom schedule, current student work or points of study (e.g., pictures of alphabet) but don’t feel the need to cover every available space with something! Time is valuable, and students with autism do not have time to waste. It is important to make the most of your day by having many opportunities to practice all targeted skills. Having a classroom schedule that allows for enough instructional time to make significant progress is critical. When creating a classroom schedule, make sure to address the who, when, what, and where questions. In other words, it should be easy to see who is working with a student at any given time as well as what skill they are working on and where they are working on that skill (e.g., red table, art table, hallway, etc.). Assigning student names to specific instructors can save valuable time during an emergency situation (student elopes, fire emergency). Avoid unnecessary large chunks of non-academic or unstructured times. What each student will be working on should vary based on assessments conducted in the classroom. Instructors should consider posting the schedule on a wall, centrally located and large enough that all team members can see it. However, if you have many students and paraeducators going in and out of the room, you may consider having a master calendar but printing out individual copies for each staff member. When you have a master schedule that is easy to change when students and staff are absent will cut down on unnecessary talk about who is with specific students and what they should be working on. Additionally, color-coding by students or staff will allow for staff member or administrators to easily follow from across the room or with a quick glance. Staff should be assigned to students at all time. If a student is engaged in independent work, having a staff member still assigned to that child will help everyone know who is tracking data or responsible if an emergency occurs. If you take all of these suggestions into consideration when you begin planning your classroom, you will be well on your journey to make a big difference in the outcomes of your students. An organized classroom allows teachers to focus on effective instructional strategies and behavior management strategies that are individualized to each child and not waste valuable time locating materials, guiding staff behaviors, and planning groups. We wish you well in your new teaching position and in the years to come. Melissa Taylor, BCaBA is a Consultant on the Autism Initiative for the Pennsylvania Training and Technical Assistance Network. Her current position focuses on training educators on the principles and implementation of behavior analysis within classroom settings. In addition, Melissa provides in-home behavior consultation to children and adults with autism. Currently, she serves as the Sponsorship Coordinator for the Association for Science in Autism Treatment.